Here's one I built earlier! Much earlier, something like 25 years ago. In the haze of time I am not 100% sure what motivated me to build this up. I guess I had a fondness for Bantams as I was riding around on a plunger D1 at the time plus I had a few parts lying around and someone I knew had a rigid D1 frame for sale. Apparently back in the day it was fairly popular to transplant a Villiers engine into a Bantam - I only found this out after building the bike. 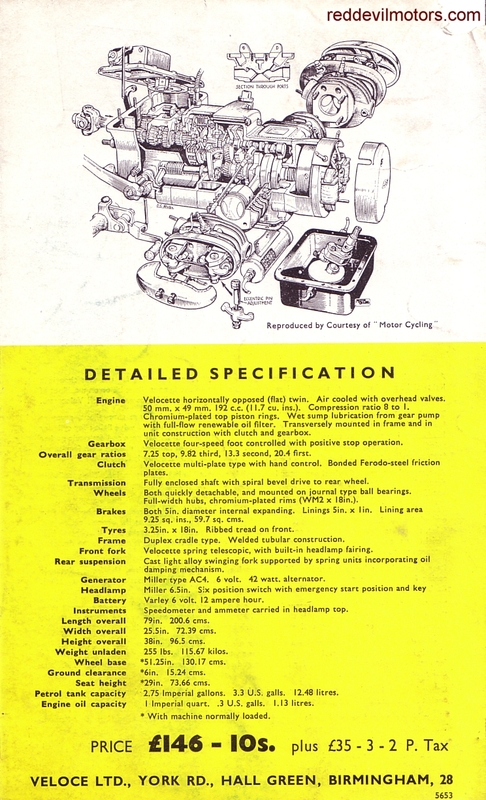 The 6E Villiers motor had been used in a scrambler and was a known runner. To fit it in to the Bantam frame the original lugs were cut off the frame and three horseshoe shaped clamps were brazed on in appropriate places - two for the front mount and one for the rear. These were then joined across with pipe. Engine plates were cut from ally plate and made to give the engine a slightly forward facing cant to look nice and racy. The frame lugs were narrower than the engine mount spacing, this meant that it was fairly easy to get chain line right with spacers either side of the lugs. The frame was gusseted around the headstock to cope with the extra power! 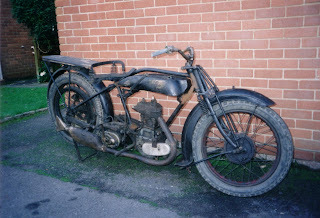 The rear wheel came from a later Bantam, forks and front wheel were an autojumble find from a Bantam race bike (Honda originally I believe). Cast off alloy guards were used and brackets made up. 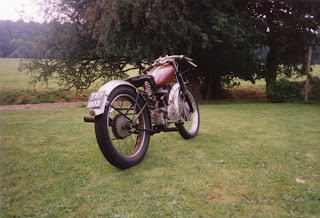 The exhaust was from a BSA A65 and thankfully it fitted and gave a nice mid-level line. All in it only cost a little more than £100 to buy the parts needed for the project. Rather amazingly the bike was a lot more than the sum of its parts. It would hold 70mph (I was lighter then!) and was a lot of fun. 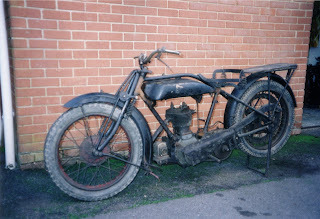 It lived outside my flat in London for a while and was taken around Brands Hatch when the Festival of 1000 Bikes was held there. Eventually I sold it on to a mate when I realised I had too many bikes (in particular Bantams - there were three at the time). He kept it for a while and then sold it on to another friend. It's been off the road a while now but is still in decent nick and ready to go. Triumph Speed Twin, early fifties. Here's another machine that was re-patriated from India round about 12 years ago. 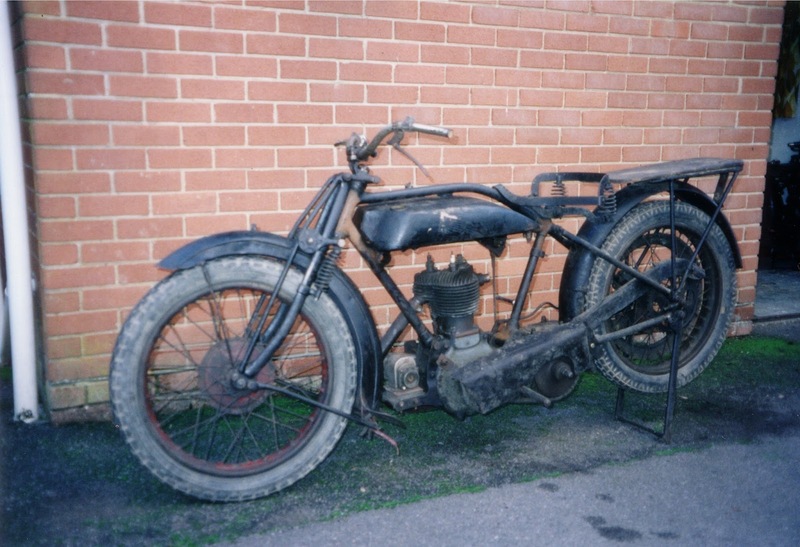 It's an Ariel, c.1923 and fitted with a White and Poppe engine. Ariels from this era are rather rare - this one found a new home fairly quickly, it was a good basis for restoration and mostly complete. The only thing really wrong with it was the later ex-WD front wheel fitted. 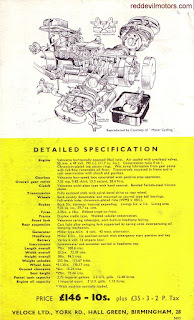 The White and Poppe motors are unusual for their valves being very widely spaced and came as 3.5hp (500cc) units. There's not a lot of difference between this Ariel and a veteran era machine. Ariels were popular pre-WW1 but only really gained momentum in the twenties when Val Page came on board and created the 'black' Ariels range. Circa 1923 White and Poppe Ariel. now it is back on the road. 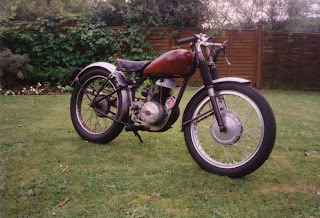 Velocette's new for '57 Valiant. Definitely one of the more interesting of postwar British machines. With hindsight it is easy to wonder what on earth a small company like Velocette was doing introducing an expensive and relatively complex machine with an unusual and small engine size. After all, if you were an enthusiast you would buy something bigger and for commuting a Villiers power egg would do nicely. 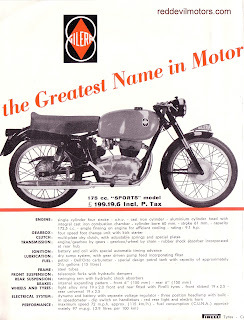 The attempt though matched the name, Velocette didn't shift many units but they did come out with an attractive, if flawed, machine. The lasting reputation is one of frailty, but that applies to so many of the British 250s that were actually pretty good designs and reliable if ridden within limits and maintained as recommended - not something that many sixteen and seventeen year olds were apt to do! 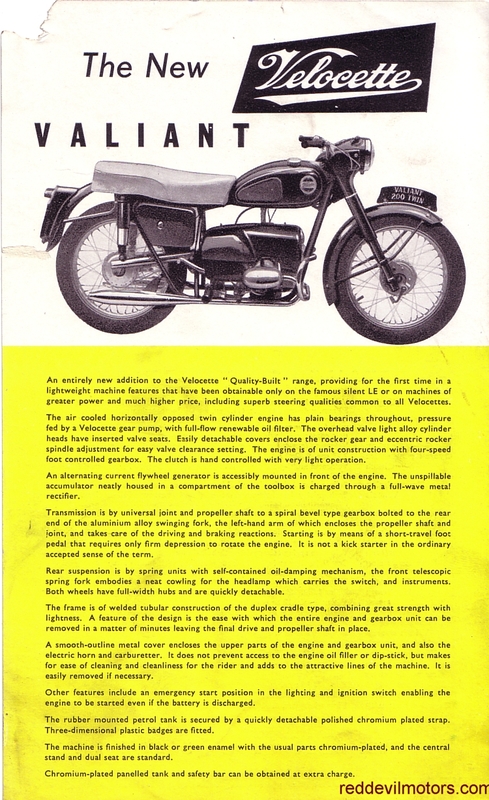 1957 Velocette Valiant brochure page 1. 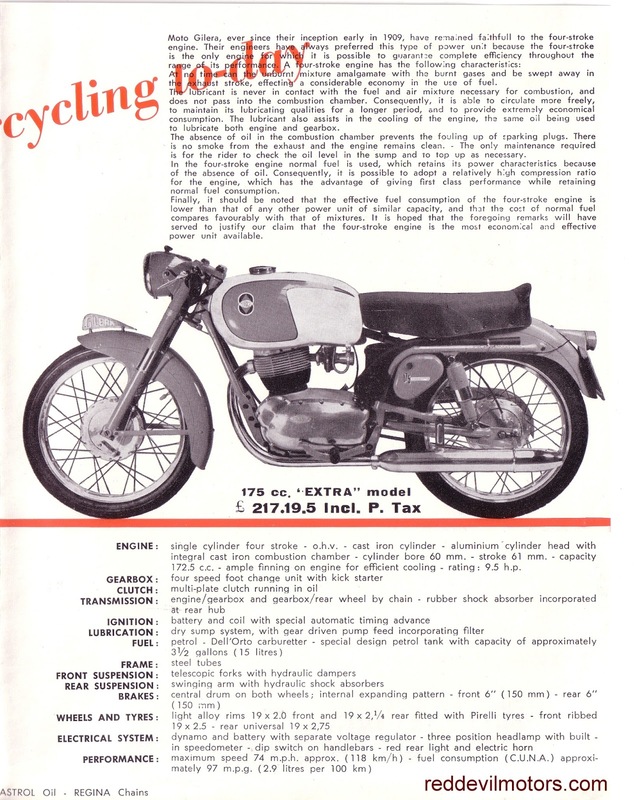 1957 Velocette Valiant brochure page 2. A trend has been developing of late for high end 'super books' aimed at marque enthusiasts. 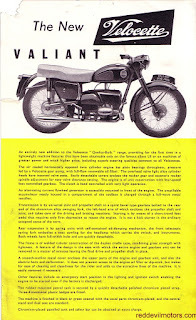 As a way to go in publishing your material it makes good sense - there's a limited number of enthusiasts out there for a particular niche marque of motorcycle who will buy each book on the subject. Add to this a number of folks, like myself, who are interested in the history of motorcycling in general who like to buy a selection of new quality publications on the subject of choice. This means that if you publish a book on, say, Cleveland motorcycles you have a market out there of two to three thousand folks. Most of these people will buy a book on the subject if it is well written regardless of if it is a soft cover selling for £15 or a lavish tome costing perhaps ten times that. 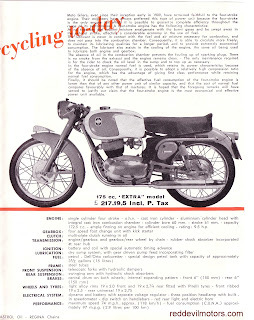 What we are coming to is that the subject matter of vintage motorcycles ain't going to make you rich as an author and you ain't gonna shift high volumes. It's not a mass market. 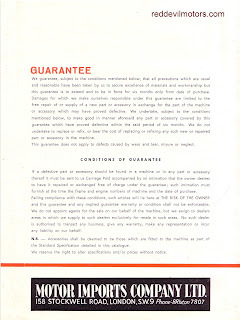 You might as well put your efforts in to a book of high quality and be satisfied with a small print run but make your costs back on it being a limited edition rather than do a print run of 5000, sell 2000 at low price in the first six months and then struggle for the next couple of years to shift the rest. 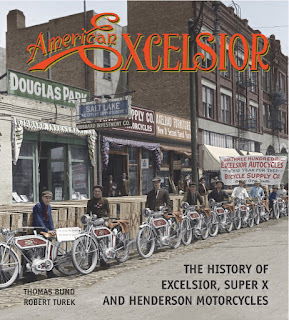 American Excelsior - The History of Excelsior, Super X and Henderson Motorcycles fits into the category of 'super book' perfectly. This is one lavish tome. It's big, very big. The format is big and it runs to 422 pages. The price is also big - 149 Euros but, you know what, it is justified. The book is a joy to behold and a joy to own. When it arrives it is evident that this is a book that is worth 149 Euros even if you have had to pay for it on a brexitised Pounds Sterling exchange rate. Content of American Excelsior tHoESXaHM is very image heavy. There are a large number of reproduced brochures, period adverts and some very excellent period images. That's not to say that it skimps on the story of the machines in question, it's just that there are a lot of pages and, though the text is spread out, overall it does add up to a substantial content. 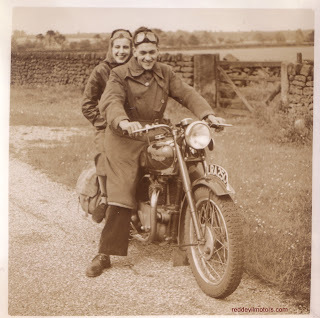 A few years ago now I used to go regularly to London on business, a small treat for myself was to call in to Foyles bookshop and browse through the motorcycle titles. They always had a few unusual ones that were not available elsewhere. One time they had a copy of 'Hendersons, Those Elegant Machines' by Richard Schultz. It seemed a bit pricey at the time at over £40 so I mulled it over and then didn't buy a copy. The book was a limited edition and I rued my decision not to buy ever since. I am not alone as recently several 'have a go' sellers have tried to test the market and offer the book for $1000 or more. If you look on Amazon US right now someone is trying for a very unbelievable $10,099! The point I am coming too is that if you want one of these limited books, best not hesitate, buy them when they are available as they do have a nasty habit of becoming very sought after at a later date. That's why I coughed up for American Excelsior and I don't regret it one bit. A fabulous book. 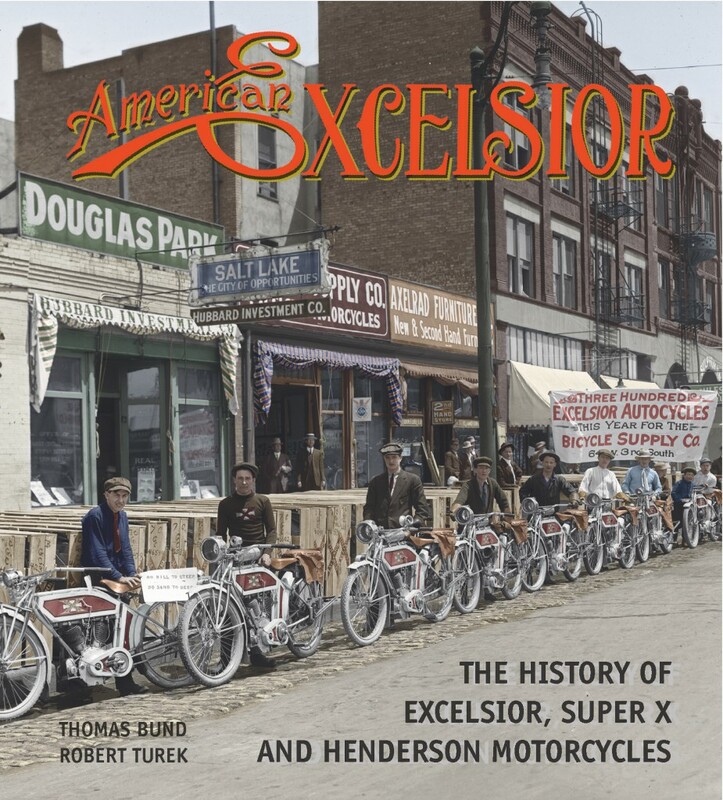 The ordering system for the American Excelsior is somewhat archane - you have to fill in a form, await an invoice and then make a bank transfer to a personal account in Germany. That or pay by paypal with a 5% surcharge. But fear not, it is all legit and the book will arrive and as above if you have any love of old motorcycles you will be delighted with it. Finally, just to note for the book speculators that when certain volumes do get very sought after they have a habit of being re-published. 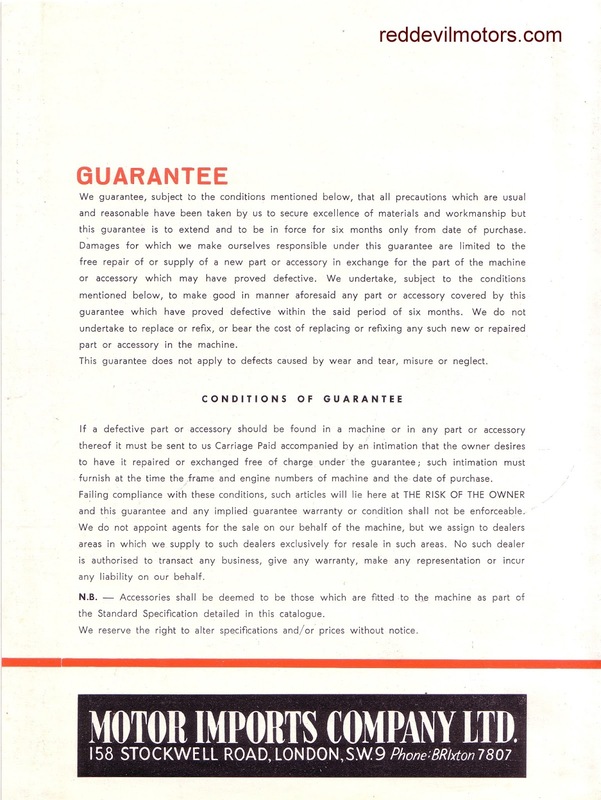 Hendersons, Those Elegant Machines is available again. It's a lot cheaper than the test the market vendors are asking but it's still a high end book. Buy it now if interested! 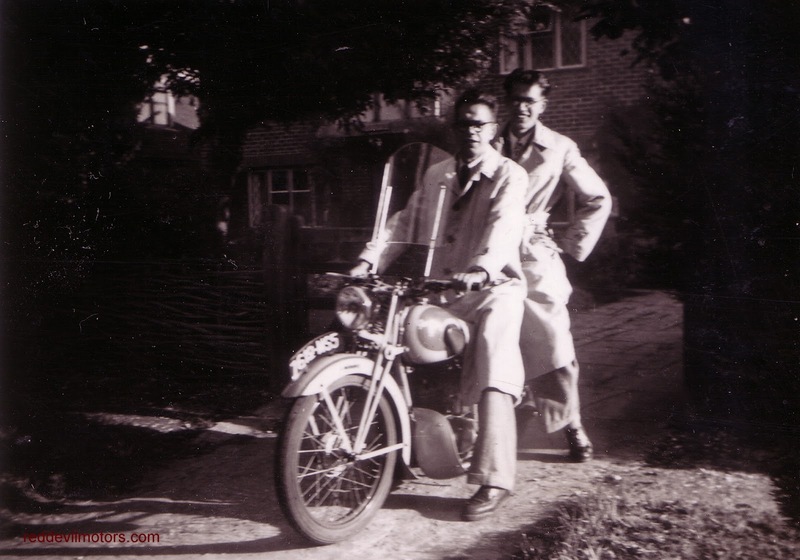 Two dapper gents astride a small Peugeot. I'm no expert on French bikes but I'd take a guess as a Model 54 or 55 from between 1947 and 1949. 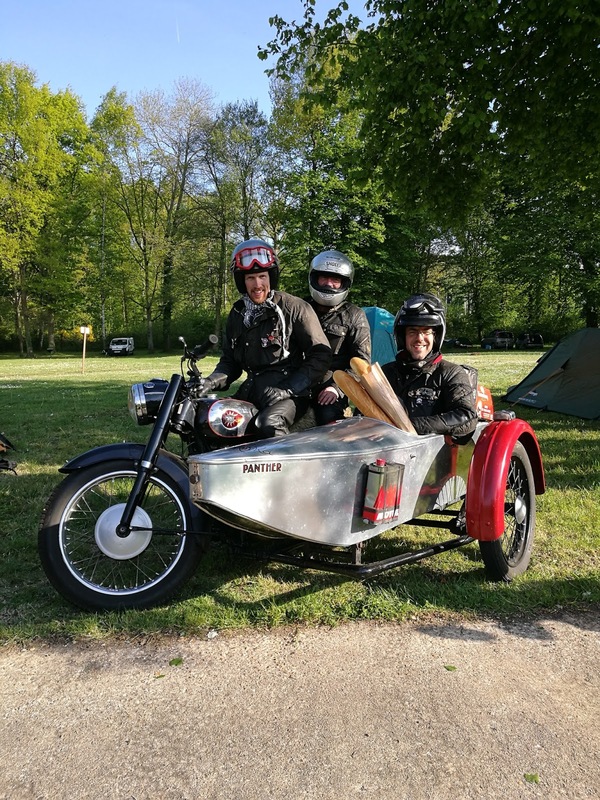 If there are any French bike nerds out there who know for sure please do comment! 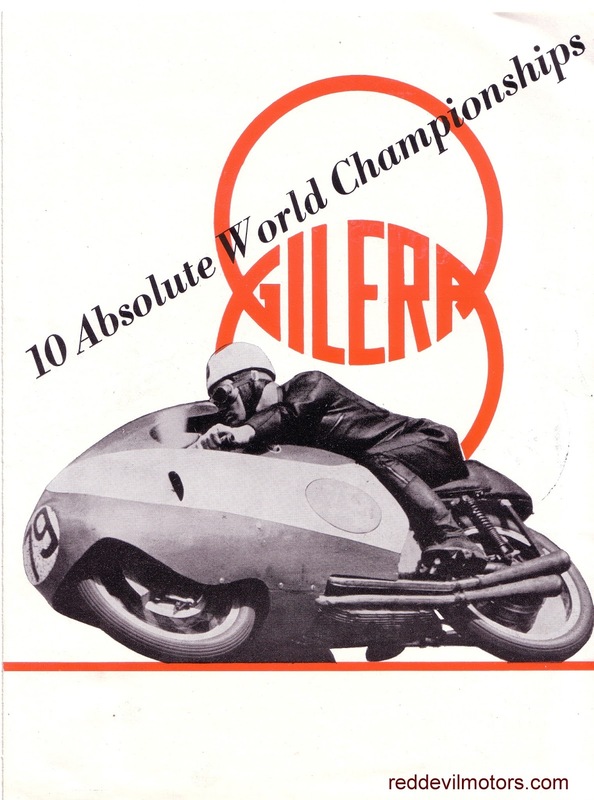 Gilera's offerings to the UK for 1958. Gilera had a wide range of machines on sale to the Italian market but in Britain only the 175s were imported. The reputation was good and racing success brought glamour but Gileras were expensive compared to British built machines. The last set of photos from a visit to the very excellent Haynes Museum's British Motor Scooter Exhibition last summer. The exhibition is ongoing, visit it if you can, the rest of the museum is well worth a nose around too. An impressive cafe as well. 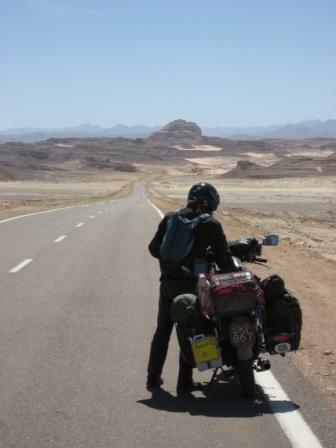 Do yourself a favour and get free entry with British Motorcycle Charitable Trust membership. Adventures in glassfibre. Villiers engined Excelsior Monarch. was a Bond Equipe so perhaps that explains it. Original dealer's transfer is a great touch. like a lawn mower and was woefully unreliable. went on to sue JLO for £20,000. View across the hall with Dayton Albatross to the fore. BSA Dandy meets Dunkley Whippet. And Dunkley Whippet meets Dayton Flamenco.